Was the past year as challenging for you as it was for us? 2016 was a major challenge for our team. This is because a couple of our team members dealt with chronic illness throughout the year. However, the new year looks bright and I just wanted to start this month by sharing an encouraging word. 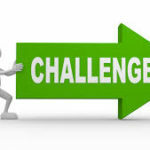 You can deal with challenges successfully! If you face challenges that are out of your control; don’t let that stymie your progress. If you have the budget, hire a team to fill in when another team member is ill or when you may be out to take care of a loved one. Always have a back up plan to ensure that challenges are not insurmountable. If you are hit with a major challenge; a good way to ensure that your clients don’t suffer, is to grow your client base and team simultaneously. This is something we’ll train on and discuss in a future post and webinar, so stay tuned. We’ll discuss the challenge of garnering new clients and growing your team at the same time. You’ll find that implementing the tips we’ll share, will help ensure that no challenge is too great to stop your business growth.